As you may have heard by now, next year’s World cup sees England’s football team jetting off to Manaus, and it seems the capital of the Amazon is taking a fair bit of stick. First Roy Hodgson complains it’s too hot, and then the British tabloids name it a ‘murderous hell hole’. A destination hasn’t taken this much stick since, well, South Africa in 2010… Perhaps it’s time to put aside the negativity and look on the bright side. It’s not all doom and gloom for fans travelling to watch England, so here are some reasons for you to love Manaus. 1. The Wildest World Cup Ever? Manaus is a city like no other, isolated and seemingly separated from the rest of Brazil by thousands of miles of rainforest. 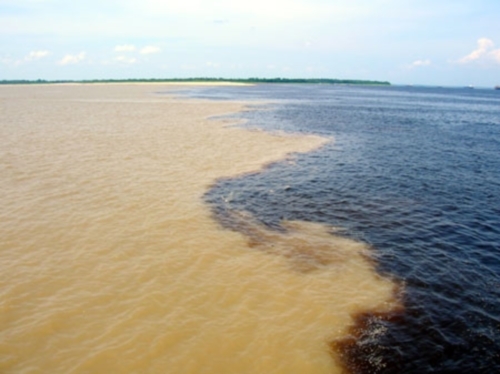 Only accessible via plane or boat there is only one road in and out, and most traffic still relies on the waters of the mighty River Amazon which flows right past the city. 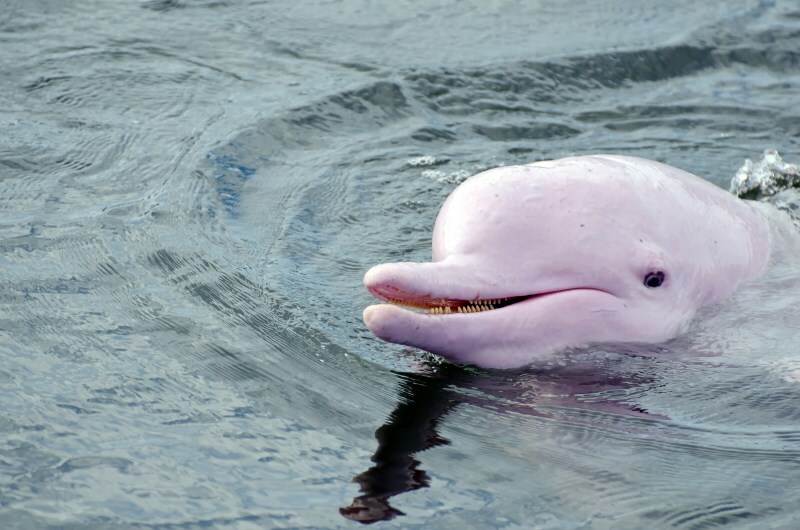 Tours of the Amazon include all kinds of things from climbing trees with monkeys to swimming with pink dolphins, and how many World Cup venues offer the chance to go piranha fishing on the off days? Tours of the rainforest and Amazon backwaters from Manaus range from one to seven day trips and can be booked easily through hotels and tour operators such as, well: us. Manaus might be a bit hotter than a wet Wednesday in Stoke, but it’s probably no less safe. Despite press to the contrary, it’s actually historically been a very safe city for tourists. Popular US destinations such as Washington DC have much higher homicide rates, and in New Orleans, for example, it is more than double that of Manaus. It’s also worth pointing out that the overwhelming majority of such crimes take place well away from tourist areas, and in any case you can rely on the Brazilian government to absolutely flood the city with police for the duration of the World Cup: they are well aware that the world’s eyes are on them. And after all, people had enormous security worries about South Africa before the last World Cup, and they turned out to be massively over-blown so isn’t it just – maybe – possible that the hype about Manaus might owe more to sensationalist journalism than the facts on the ground? 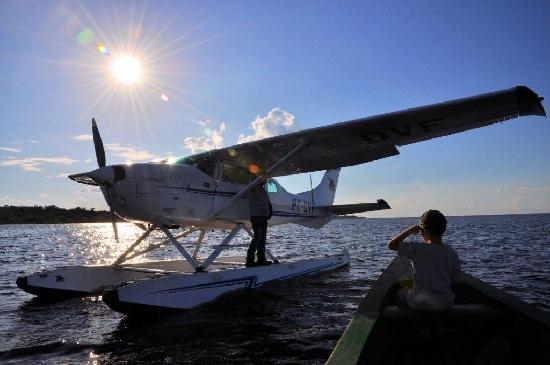 Seaplane tours also take off from Manaus and there aren’t many better ways to take in the awesome scale of the Amazon rainforest than from a seaplane. Their high wings and large windows provide panoramic views offering fantastic photo opportunities. So why not get a group together and charter a plane for an hour? An experienced pilot will fly you right over the jungle and can even land on some of the smaller tributaries so you can go ashore in a small dinghy, or by one of the many river beaches that are popular with the locals so you can work on your suntan: the heat’s not all bad! Finally, don’t knock the charms of Manaus itself. It’s one of the fastest-growing cities in Brazil and has a buzzing energy which belies the tropical heat. It also is a city which is steeped in history and culture, having first developed as the centre of the Amazon’s 19th century rubber boom. For a while it was known as the “Paris of the Tropics” as wealthy rubber barons competed to build elaborate mansions, parks and public buildings, culminating in the grand Teatro Amazonas (Amazon Theatre), an opera house which opened in 1896. 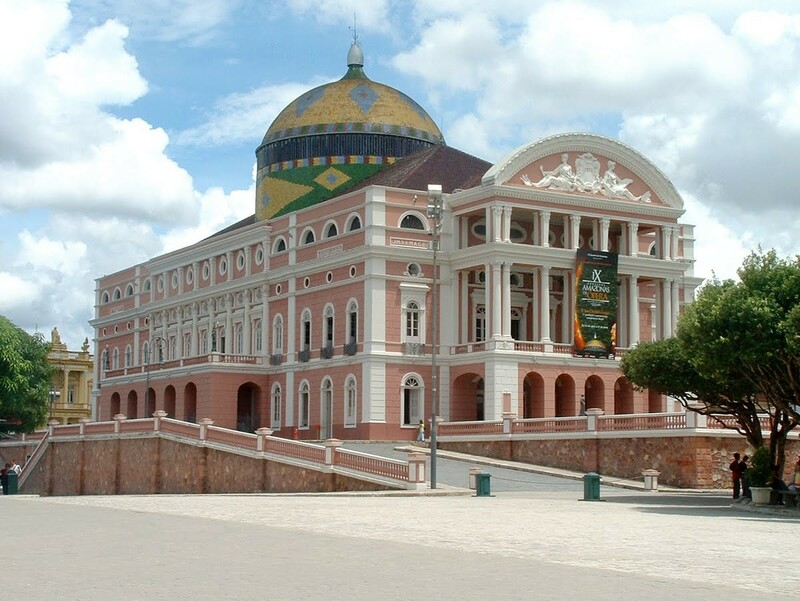 Built to rival the great opera houses of Europe, with huge tiers of gilded boxes and perfect acoustics – it’s regarded as one of the world’s most stunning and is just one of Manaus’ many surprises. So next time you read an article in a newspaper or a blog post online which suggests that England are heading into a hellish pit of mosquitoes and muggers: take a step back. Open a nice, ice-cold Brahma beer, and ask yourself: why wouldn’t I want to watch a World Cup match in Manaus?